Getting started in college and completing a degree is challenging for many students nowadays. With tuition and related expenses rising across the country, if you’re concerned about how to pay for your college education, you’re not alone. The Bayfield Education Foundation would like to help. In fact, funding scholarships to assist promising Bayfield High School graduates is one of the BEF’s most important and rewarding missions. To get your college career off to a great start, start the process for applying for a Bayfield Education Foundation Scholarship by visiting your school counselor. The amount can be applied to your first semester’s tuition, divided equally between your first two semesters, or even held in an account if you decide to take a “gap” year. The BEF offers four of these need-based scholarships. If you’re close to completing your degree and your budget just can’t stretch that far, apply for the Finish Line Scholarship. This program will send funds directly to your college to help you pay for your final courses. The Foundation has created a new scholarship for community-minded seniors called the Giving Back Scholarship. 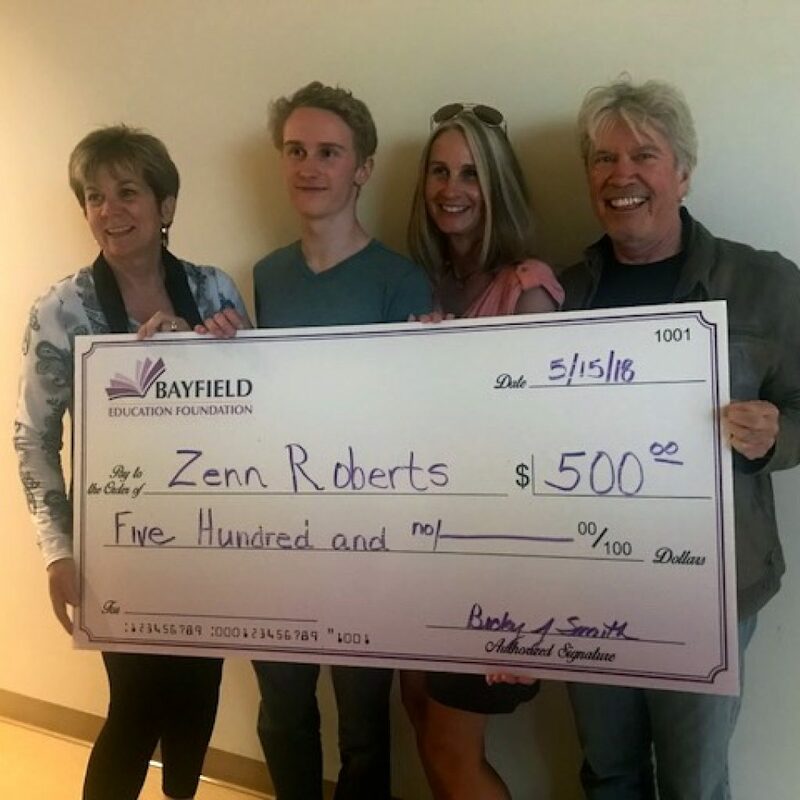 This one matches funds donated by last year’s graduating class and awards the total amount to a student who has given time to support the Bayfield area. Take a look at the application form here.